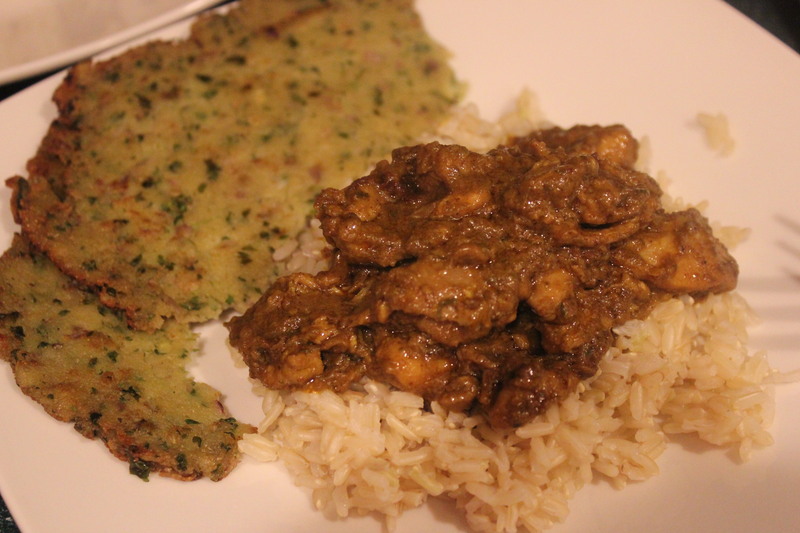 “This chicken curry recipe is totally diner style. The chicken thighs make it very soft and melt in your mouth! It’s so easy to make too. 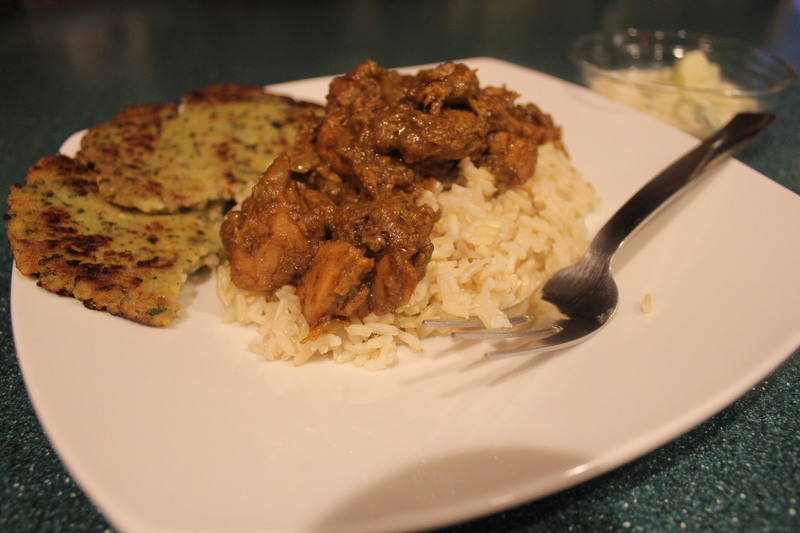 Serve with rice, puri, naan or chappathi.” I served with Makkai ki roti (flatbread) and the spicy flavors were very well balanced for this traditional Indian Dish. • 1 can coconut milk. 1. Heat oil in a small pot over medium heat. Cook the onion, ginger and garlic. Once they have sweated down add the chicken pieces and cook. Sweating is a method of dry heat cooking used to soften finely cut vegetables. During sweating, the flavors of aromatic vegetables like onions, leaks, garlic, celery and peppers and carrots are extracted and concentrated. 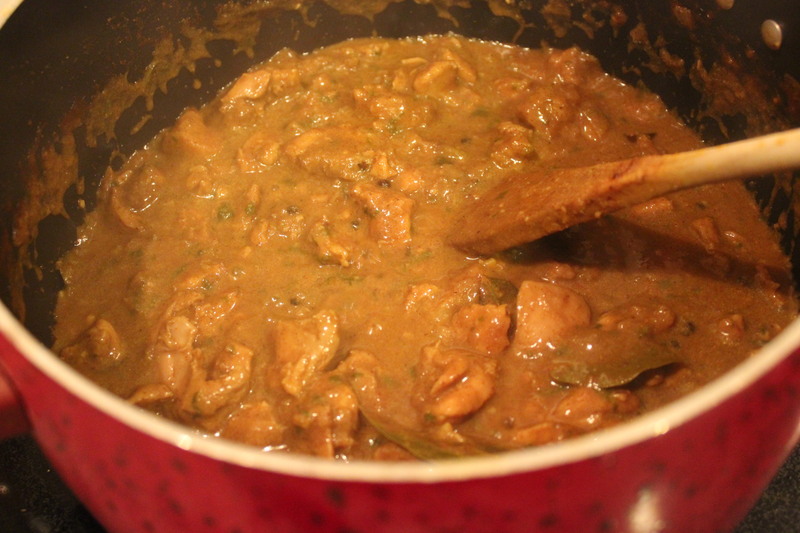 The process is similar to sautéing, but done over very low heat, so there is very little sizzle. Enough moisture is retained in the vegetables so that their sugars do not caramelize, and little or no golden color develops. Season with curry powder, cinnamon stick, cardamom pods, bay leaves, cloves, red pepper flakes, black peppercorns, and coriander seeds. Add the can of coconut milk. Simmer for about 30 minutes, stirring occasionally. 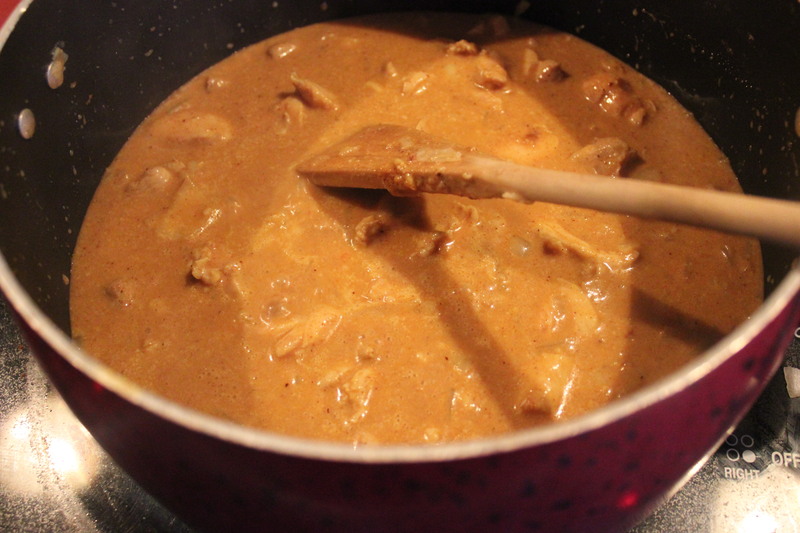 At this point, gravy will be runny; if you want to thicken, continue to cook until liquid is reduced. 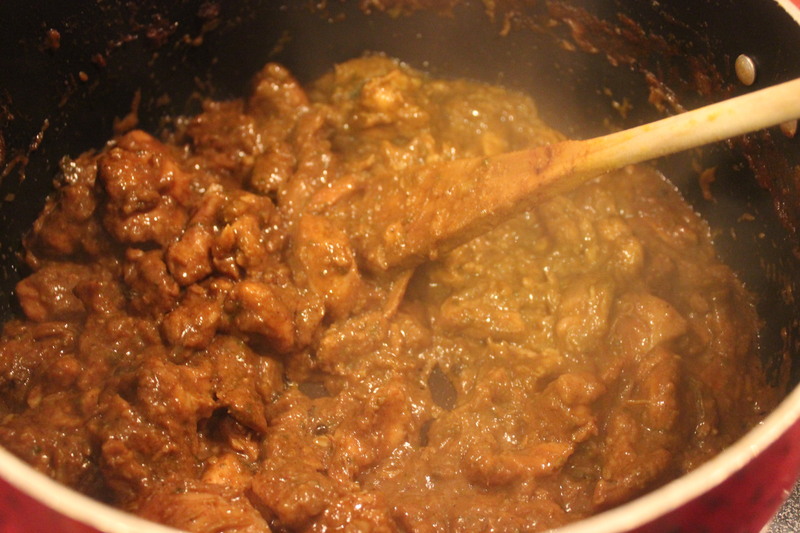 I like mine reduced to a non runny consistency took about an hour on med low. You can see the progression of the thickening in the following pictures.